Water is a precious resource. It becomes even more precious for gardeners due to its inevitable necessity to help the plants growing properly. 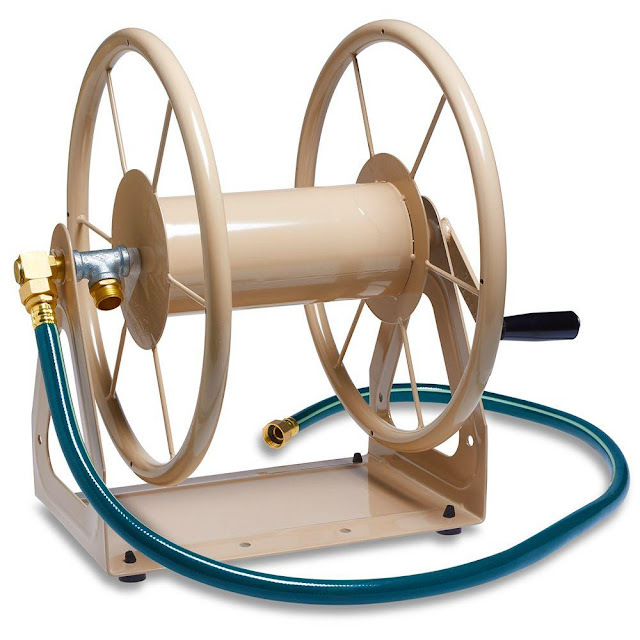 Watering in the garden becomes easier with a hose reel. It saves your time and energy. So, in this article, I am going to describe how you can effectively water your garden with a hose reel. At first, push the hose into the centre of the claws to connect the hose with the hose reel. Then, you need to tighten the clamping nut using a screwdriver. Then you are required to put the connector on the other end of the feed hose. It will enable it to be connected to the garden hose. After that, in order to join the connector with the feeder hose, you should push the hose end into the middle of the fitting. You must be very careful doing this otherwise the hose may get damaged. Then you should tighten the clamping nut of the fitting. You might use a tightening device to do it. You should look carefully so that it doesn’t get out from the feeding hose. It must make a durable connection with the garden hose. 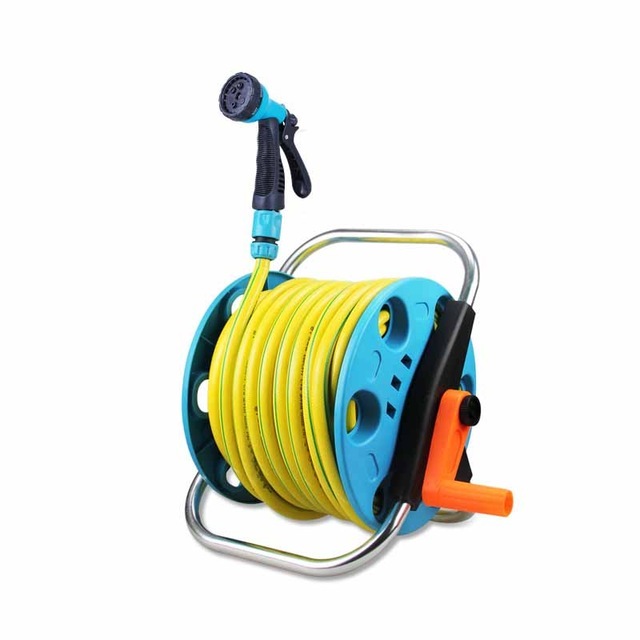 Now that you are almost done with your hose reel, you need to connect the one end of the feeder hose with the pumps or the watering source. Then connect the other end with a garden hose. Another end of the garden hose needs to be connected with the sprayer or nozzle. Lastly, move the hose using the reel to your desired place of the garden, open the valve and start watering your garden. Additionally, the sprayer or the nozzle controls the flow of the water for better performance. 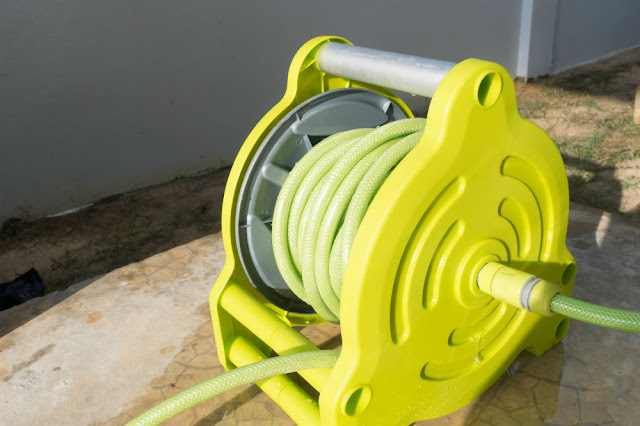 You need to know about one more very important thing to water your garden with a hose reel. You must know about the installation of the hose reel. The standing hose reels does not require installing while the wall mounted hose reel needs to be installed in a suitable place. I would discuss it in another gardening article though. As your hose reel is all set, you can start watering your garden. But you should be careful while watering your garden with a hose reel as an overflow of water might damage your loved plants. Also, all the plants don’t require the same amount of watering and overflow of water might kill the plants too. So, I would recommend you to consult a plant expert to know how much watering your plant needs. Gardening is a fun. It is a great source of refreshing mind. It becomes even enjoyable with the use of a hose reel in watering your garden.